Is this suggesting that by pointing out the demographic data that I am twisting the data in some way? You don’t think what I said has any merit? If so, I’ll share with you two things in response. Maine is not ethnically diverse. In fact, it is the least ethnically-diverse state in the country. 96.5 percent of the state population was considered white and not Hispanic, compared to 69.1 percent in the country and 83.9 percent in New England (in the 2000 U.S. Census). Moreover, non-white and Hispanic populations have significantly lower levels of average educational attainment. These minority groups also score significantly lower on standardized academic tests. Although we may find these facts morally offensive and indicative of a fundamental social problem, they are the current reality in this country. Thus, in terms of educational outcomes, Maine does not have this disadvantage. 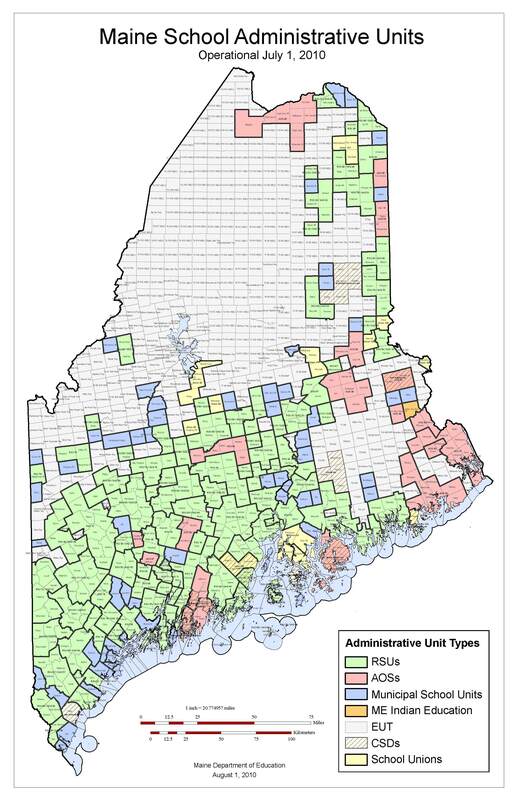 Given Maine’s ethnic make-up alone, we should expect high graduation rates and tests scores. Hence, educational attainment in the state compared to the rest of the country is even worse than suggested in the previous discussion. As revealed in Figures 11 and 12, Maine’s relatively high proportion of high school graduates can be explained entirely by its ethnic make-up. Indeed, after accounting for its ethnic make-up, Maine’s high school attainment was very slightly below that of the rest of the country. After controlling for demographics and race, Maine ranked only 36th in high school attainment among 25-64 year olds (compared to the raw rank of 16th). Moreover, this result is consistent with the performance of Maine students on standardized academic tests. Among white students only, Maine’s fourth and eighth graders generally score near the national average. Contrary to the popular perception, Maine’s K-12 education evidently is about average. In other words, academic performance in Maine is very good relative to the rest of the country, but credit should not be attributed to Maine’s schools. The contribution of Maine’s schools to academic performance in the state is only about the same as in the rest of the country. I have attached his report. I don’t see how anyone can look objectively at the data and not conclude that most, if not all of the success Maine’s students show relative to the rest of the nation is due to demographics. I felt it was important to point this out because every effort at reform – every single one -is resisted by those who think Maine’s schools are doing just fine, and who point to national rankings on standardized tests as proof of that. As I pointed out in my paper on Race to the Top, we are so far behind the other states in terms of education innovation in part because everybody seems to think our schools are just fine. They are not. You know I respect your work, but you're grinding an axe here and you know it. We will never get meaningful reform here unless people realize we need to dramatically improve our schools. I went to a conference of school reform groups in DC last week – almost all of the left-of-center, including the Center for American Progress - and I read to them the bill language for LD 1801, the innovative schools bill. There were howls of laughter. We are a laughing stock, Brian, but everyone in this state walks around thinking we are doing just fine. The data is what it is, and in my mind it shows we need to make some big changes. I don’t know that my motivation, which I think I’ve made clear to everyone, is the real issue here, is it? I am truly neutral on charter schools, as I believe that, in most areas, they are substantially irrelevant as a "threat" to what I believe is the valuable project of public education in this state. I do also believe that your goals are honorable toward advocating for school innovation. So, it may just be inadequate PR, but -- as you yourself have observed -- something is not ringing right when MHPC is haranguing the state for not reshaping local policy to conform to a doubtfully effective national initiative just for the dollars. So, yes, I do think at this point your message is getting warped by ideology. Fine, our schools need to do better and we need always to be working on that. 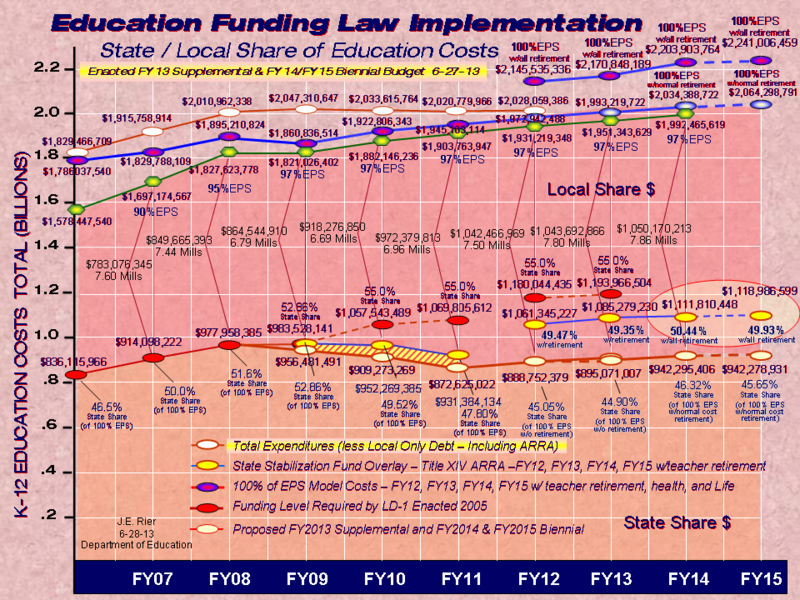 In undermining the public perception of Maine schools' performance, Trostel was laying the groundwork for an expansion of state control. You're now invoking some peculiar facet of that work in the service of privatization. Neither polemic is going to make things better in my schools and, in fact, these sorts of distractions diffuse the necessary incremental improvements that otherwise may be made in them. Help us out with performance pay instead, okay? Three quick things, then we can enjoy the weekend. Second, don’t worry about our philosophy being warped. In my mind, a voluntary grant program is VERY different from what Obama may do under the reauthorization of NCLB. If they go from encouraging certain reforms through competitive grants to mandating district policies from on high (which they will – see Deer Isle-Stonington and Sumner for an example of what is coming) we’ll have plenty to say about it. I favor carrots, not sticks – see what I suggested for a district consolidation compromise three years ago as an example. Last, I am glad to help with performance based pay, but again, nobody wants to listen if they think the schools are fine. Look at MEA’s “talking points” on LD 1799, which you feature so prominently. “If it’s not broken, don’t fix it” is bullet number one – they think there is NO problem with how we do teacher evaluation and pay in Maine today. Jennifer Rooks said the same thing – “most people think our schools are just fine” she said. As someone who has been pushing these reforms since before RTT came along, I can tell you that having everyone in this state thinking that our schools are fantastic is a serious problem for moving a reform agenda forward. I saw it last year on charter schools and again this year on LD 1799. Thanks for your thoughts and your continued excellent work as a source for info on all things school-related. I use the site every day.